Remember the 3 questions from the previous blog? What did I do to get to this level of Self-love? As I prepared for the one day workshop with this topic from the Self-Empowerment Women’s Group Coaching Course I became acutely aware that I had chosen the right topic, although it wasn’t clear to me immediately why it was the right one. “How does this support my core message of Self-love to Self-empowerment?” There is something bigger here…thus with a new fervor, I studied and researched more deeply and sure enough that gentle awareness grew to this big “AHA!” – BOUNDARIES! This is the supporting layer to Self-love!! It is not possible to love yourself without healthy boundaries! 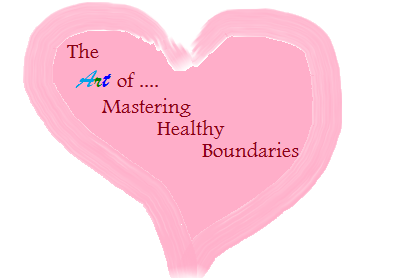 Healthy boundaries are the invisible property lines that define where you stop and someone else begins. Establishing healthy boundaries, promotes self-value, improves self-confidence, and develops a healthy self-concept and freedom to be you. I have since come to really appreciate that having healthy boundaries is crucial for happy, healthy relationships with your spouse, families, in the workplace and society. “Boundaries are the major cornerstones of self-esteem. Having good boundaries and knowing our limits is the basis for a strong self,” – John Bradshaw. Having this clear understanding of Boundaries as personal property lines that define where I stop and where you begin has granted me a greater sense of self, freedom and mastery over my life And will do the same for you. Well what started as a 1 day workshop has now grown into a full 8 week content packed, enlightening information, new awareness and lifelong tools workshop on boundaries. It is my pleasure to invite you to join….